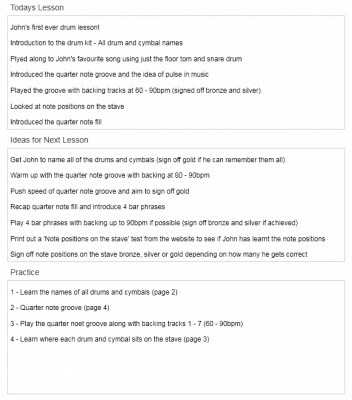 Save time and effort while continuing to improve the quality of your drum lessons by using our very own lesson manager software. 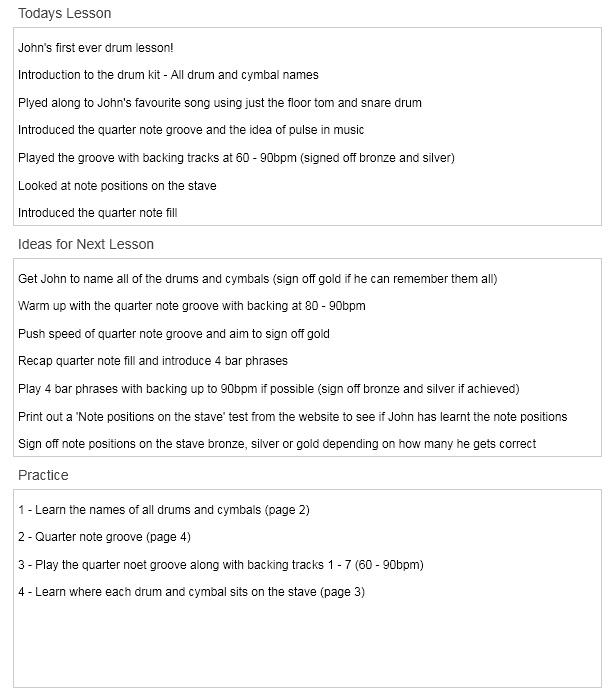 Developed to fully compliment the Backbone Drums teaching syllabus, run your entire teaching practice and keep track of all of your students progress with one easy to use program. We are currently in the final stages of testing for the new, platform independent version of the software which will be released this Summer 2017, we will announce the release shortly! Record detailed information for all of your students, including contact information, musical experience and tastes, background and marketing preferences. 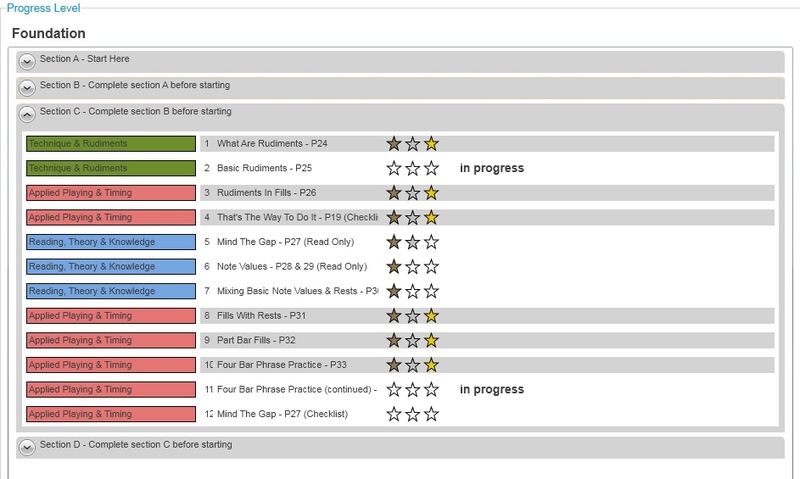 Create printable lesson plans as you go to keep track of what has been covered, plan for your next lesson and set practice goals for your students. Archive all previous lessons within each students profile. 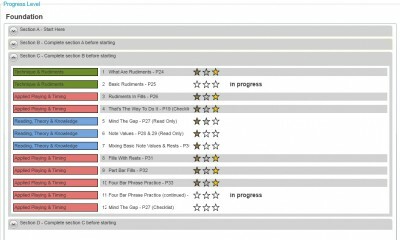 Follow the bronze, silver and gold sign off targets from the Backbone Drums books and record every item looked at and completed by your students. 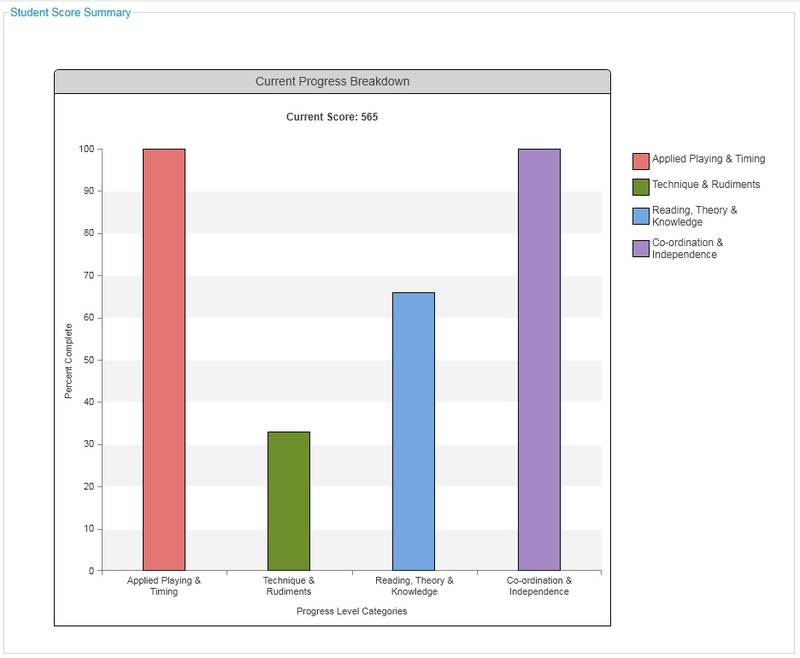 By progressing through the syllabus, students earn points towards their overall drummer score. View a break down of their score to highlight areas for improvement.